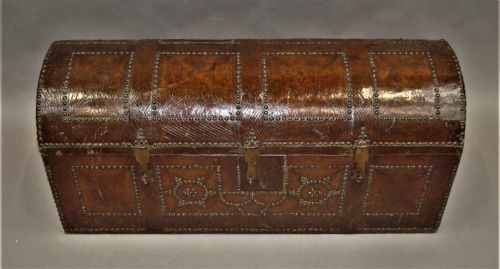 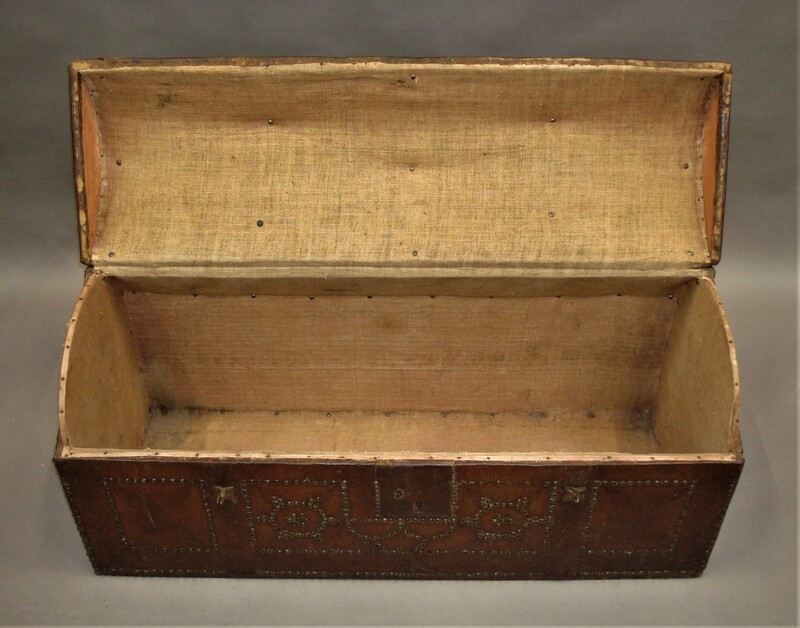 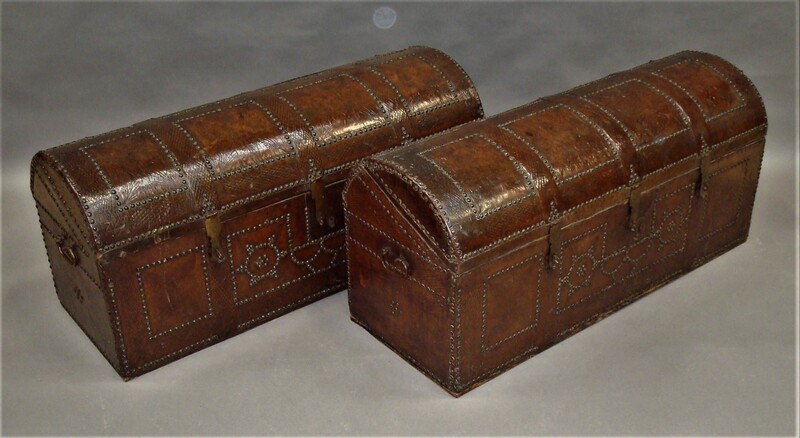 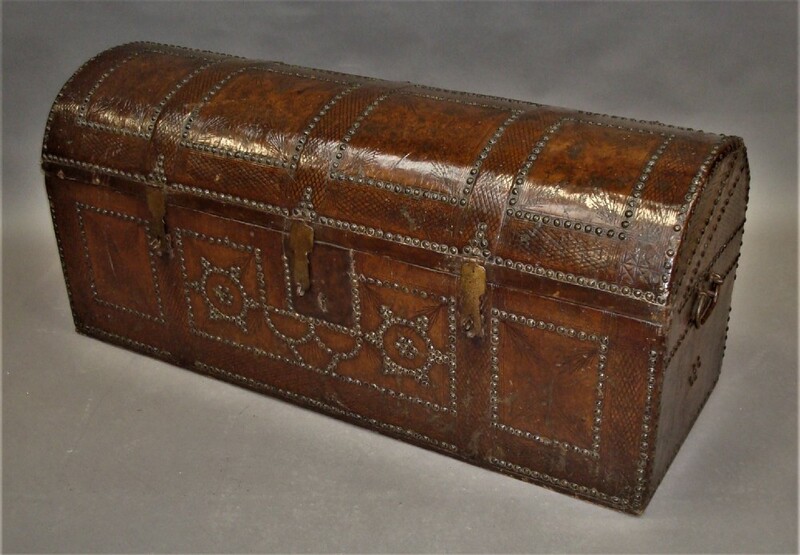 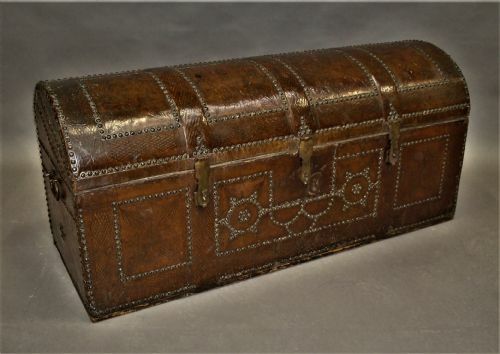 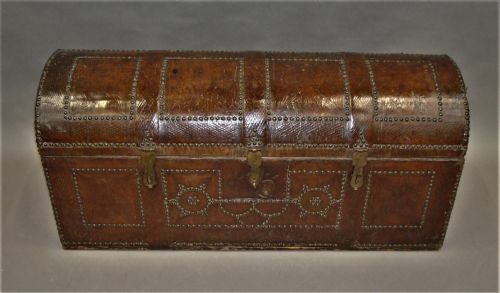 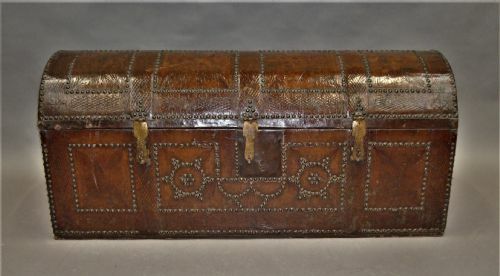 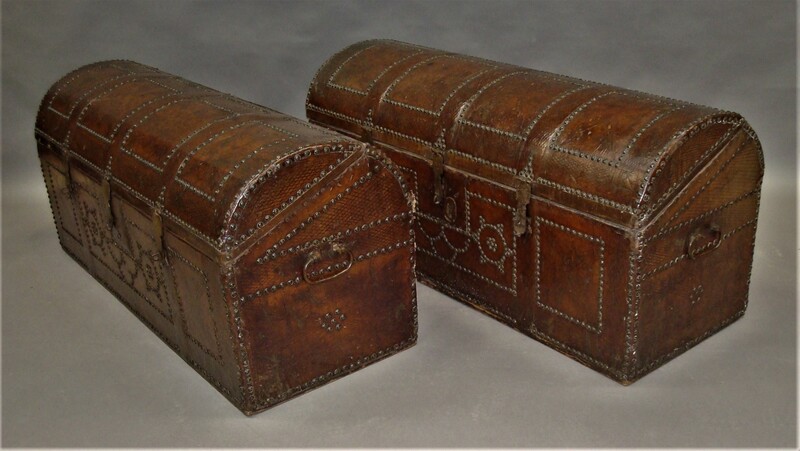 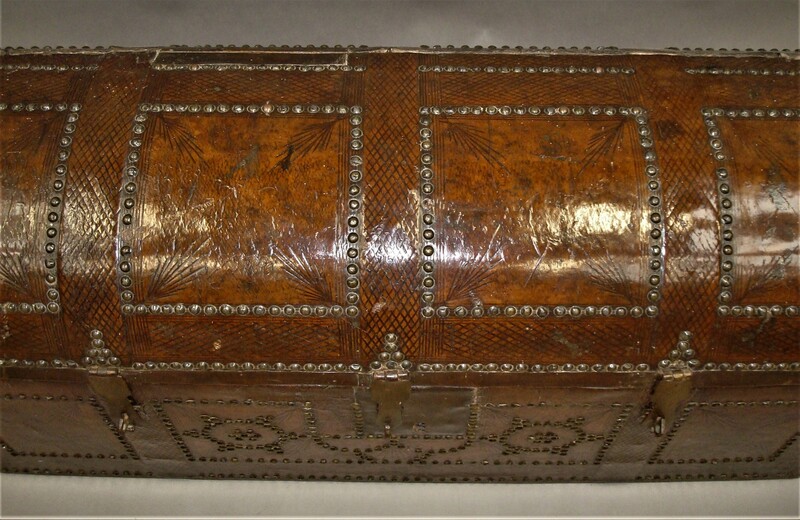 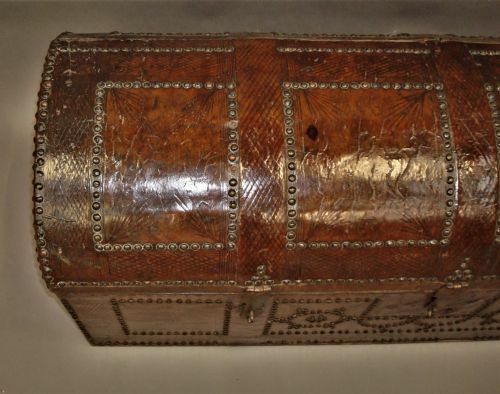 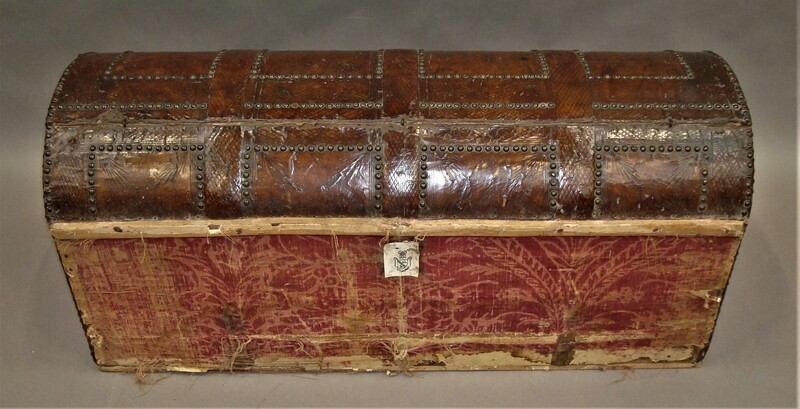 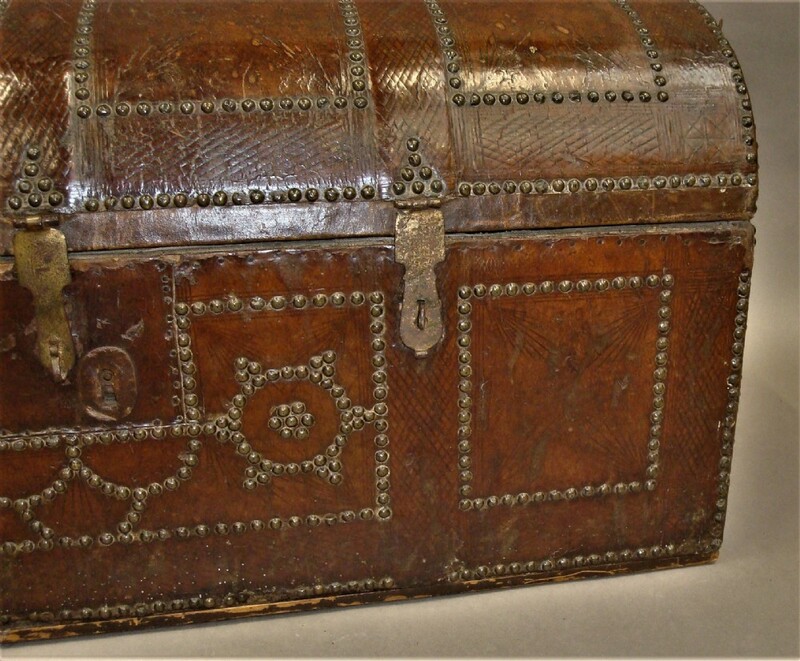 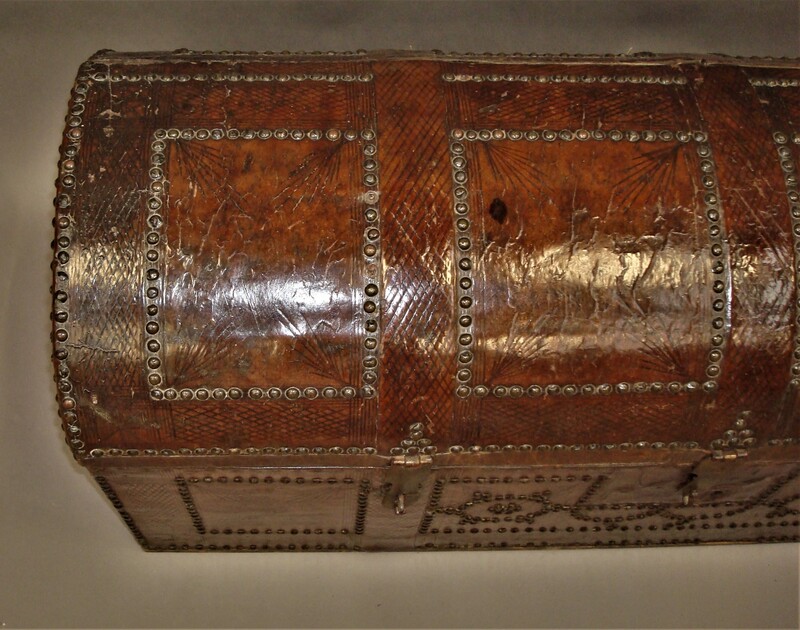 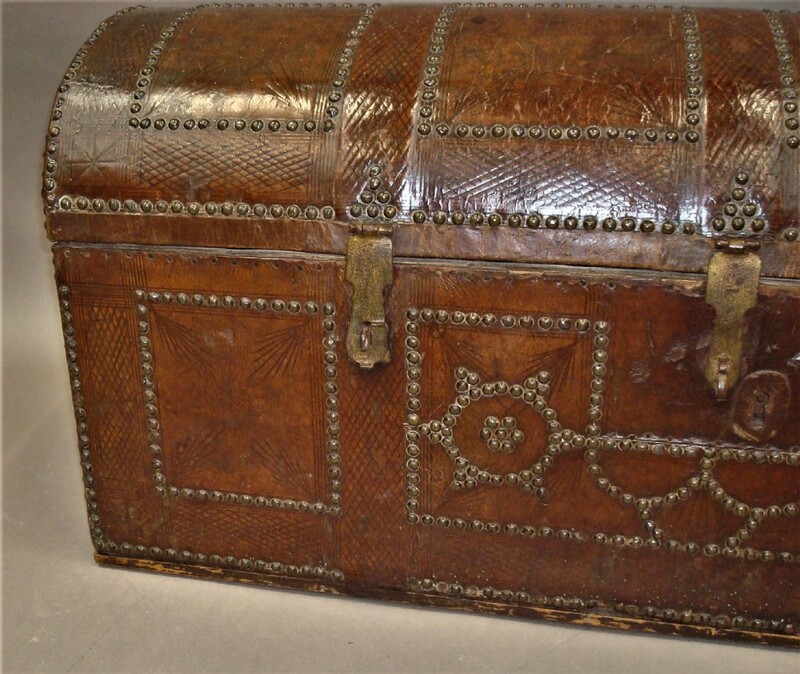 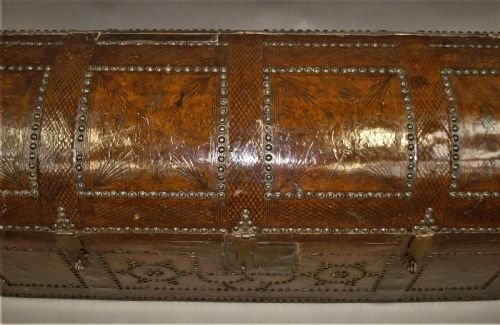 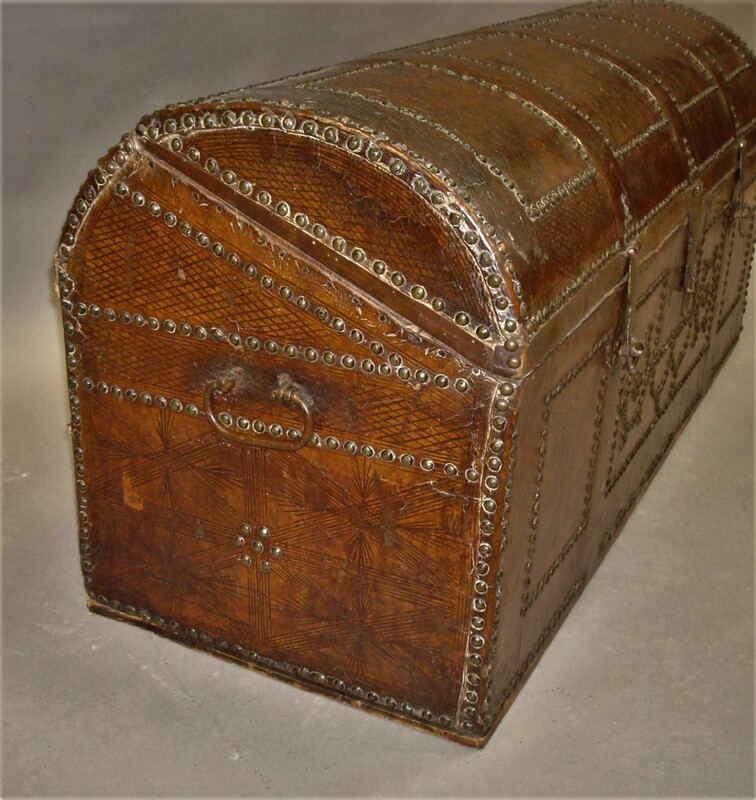 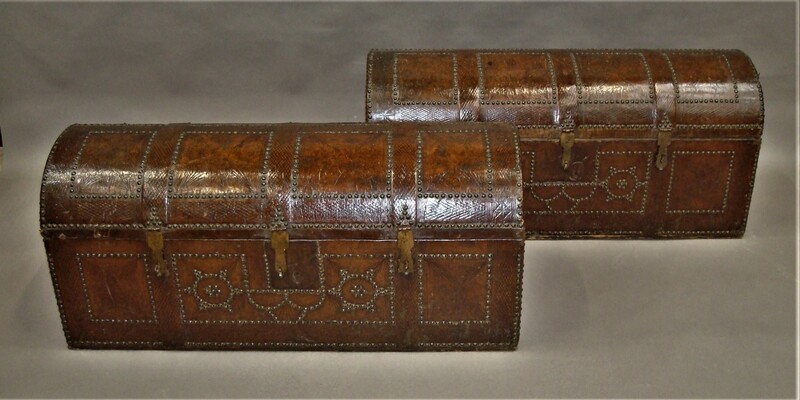 A rare C18th pair of Spanish Leather Chest Travelling Trunks, in original tan brown leather with tooled decoration. 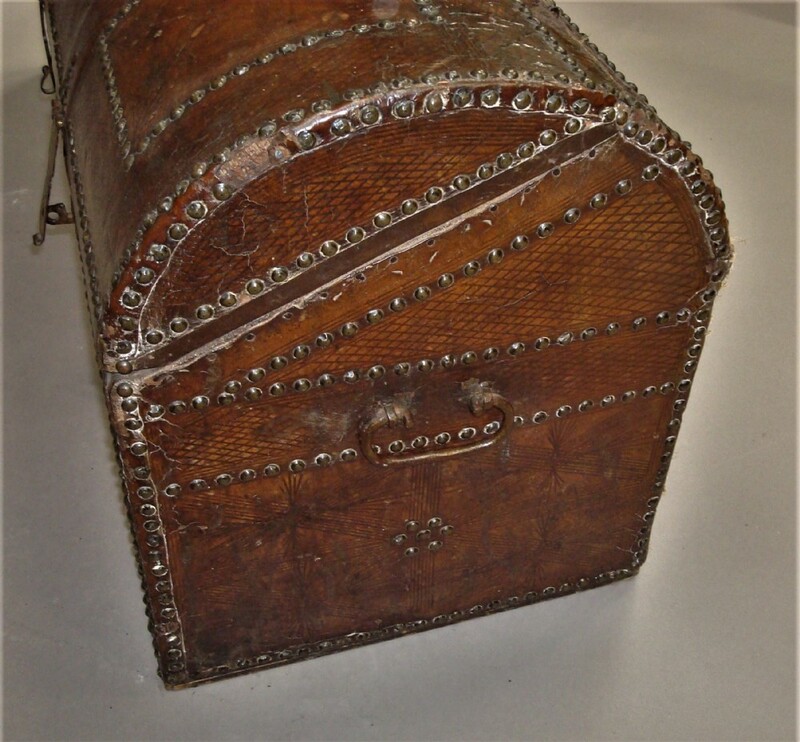 The dome topped lids with four brass studded panels and three iron hasps to the front. 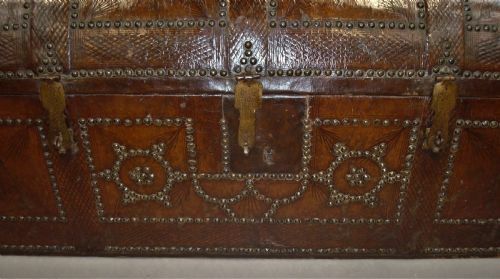 The front with a geometric brass studded design flanked by rectangular panels. 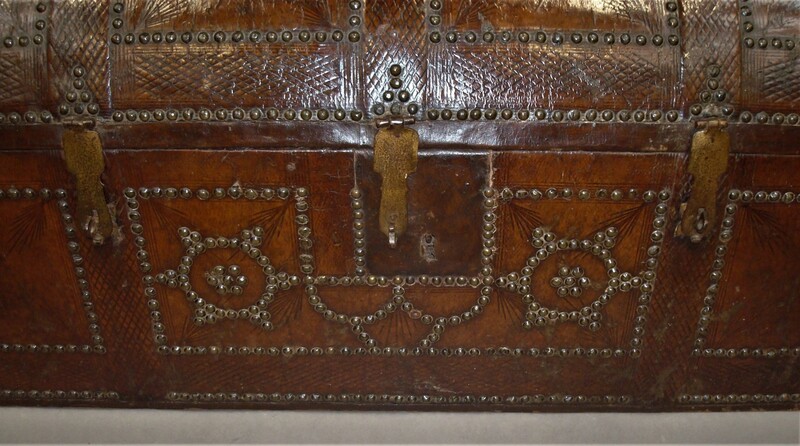 The sides with original wrought iron carrying handles. 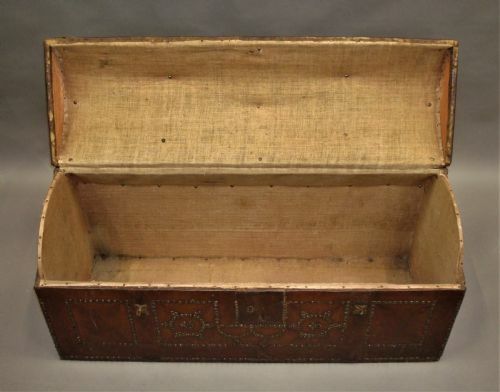 The interior lined in old linen. 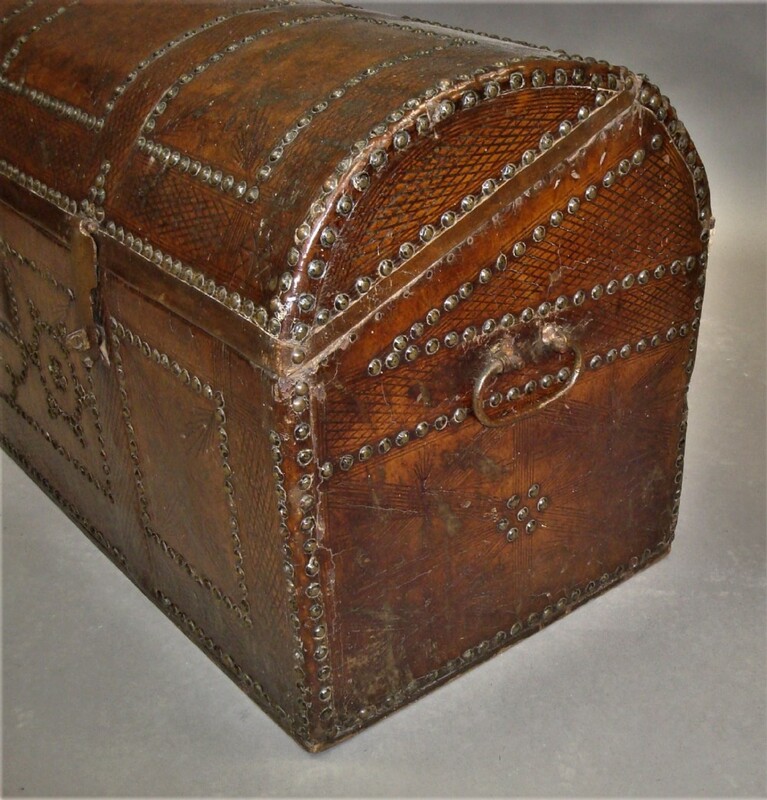 The leather with a great rich colour and patination. 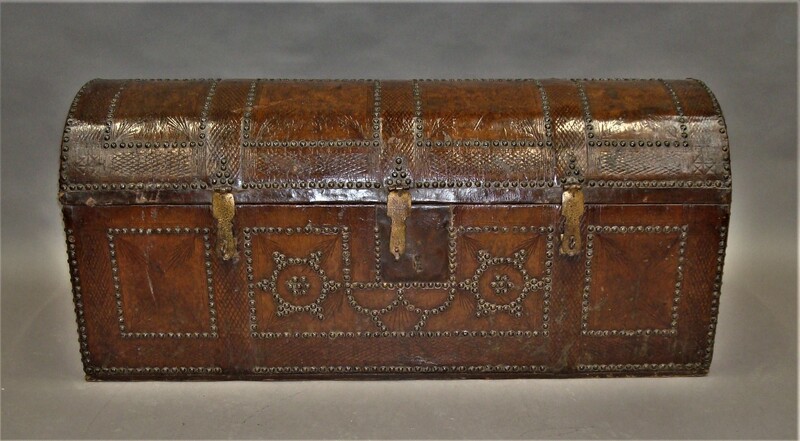 This item is antique. 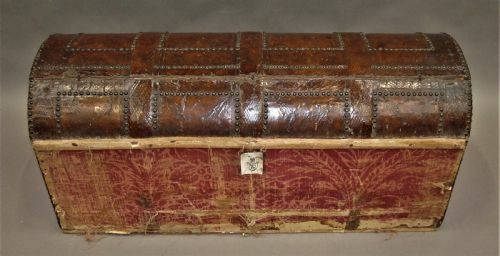 The date of manufacture has been declared as 1750. 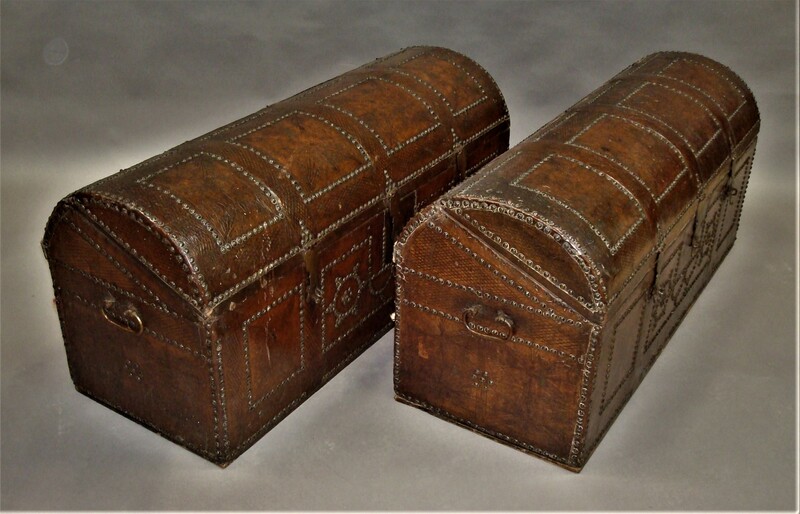 The C18th Pair Spanish Leather Trunks has been added to your saved items.